The true nature of the great "mystery" in which all participate but few truly understand, broadly known as "life", has occupied scientists, researchers and philosophers for thousands of years. Entire libraries could be filled with texts dedicated to the question of the ultimate meaning, nature and purpose of "life". As the transition between great cycles of life progresses, humanity has reached a pivotal crossroads in its own destiny. Never in millennia has it become more crucial to discover the true purpose of life, to progress, to evolve and to realise Love, Peace, Harmony and Freedom, thus fulfilling life's purpose on Earth and beyond. If you have wondered about, and wished to discover the true nature of the Universe, of "God" and of the mystery and Meaning of Life on Earth and beyond, this unique, profound book will provide you with your keys to unlock the doors within, leading you personally to what you will know to the very core of your Being to be the Truth, the Path and the ultimate realisation of Love, Peace, Harmony and Freedom. Chapter 1: The Physical Universe: This chapter reveals the true nature of that which is generally recognised as the three dimensional "physical universe" of matter and how this fixed Newtonian view of the universe completely fails to take account of the greater universe beyond that which can be measured and observed by scientific instruments. This chapter will also reveal the myth behind the so called "big bang theory" and of the true Source and nature of all life. Chapter 2: The Material World: This chapter will reveal the illusory nature of the so called "material world" and the fact that which is thought of as "matter" is not what it seems. Here you will also discover how the persistent illusion of how apparently "solid matter" and your physical experience is perpetuated, can thus be changed at will and transcended to higher levels of experiential reality. Chapter 3: The Illusion of "Time": In this chapter you will discover how "time" as humans know and experience it simply does not objectively exist except to the extent it is perceived to be experienced and believed to exist. You will also discover the that once the concept of "time" is seen as it really is, once freed from this restriction to live in the moment, life may be experienced as it truly is beyond the pervasive and erroneous influences of "past" and "future". Chapter 4: Thoughts, Ideas and Beliefs: This chapter reveals the true origin and nature of thoughts, ideas and beliefs. You will discover how true, pure ideas, including the greatest "inventions", intuition and inspiration do not originate in the brain or conscious mind, or by "thought", and how anyone can open themselves to the true origin of ideas, innovation and intuition just as did great scientists such as Edison, Tesla and Einstein. Chapter 5: The Nature of "Events": Most people believe that "events", whether large or small, positive or negative, of very long or short duration simply "happen" randomly in isolation with no apparent meaning. In this chapter you will discover how the opposite is true and how an event, far from being isolated or meaningless is actually associated with a continuous series of associated causes and effects. Chapter 6: The Human Experience: In this chapter you will discover the true nature of what people believe is their experiential reality bound by matter, space, time and events over which you have no or little control. Once you know that nothing is further from the truth the opportunity then exists to experience your life and reality as you wish as opposed to feeling as if you are subject to fixed and erroneous human concepts. Chapter 7: The Human Condition: Most people are conditioned and indoctrinated in the ways of the material world from birth. In this profoundly revealing chapter you will discover how this human condition is largely responsible for the vast majority of people fail to realise and fulfil their maximum potential and reason for being. You will discover how everyone has the opportunity to free themselves and achieve full life potential, peace, harmony and happiness. Chapter 8: The Truth about “Death": Many people go though life in fear of "death" and all that "death" is believed to imply. In this freeing and revealing chapter you will learn about the true nature of the change known as "death", what really happens at the moment of "death" and beyond. This chapter will free you from the fear of death and all the erroneous beliefs surrounding it, that you may live life to the full and embrace death when the moment arrives. 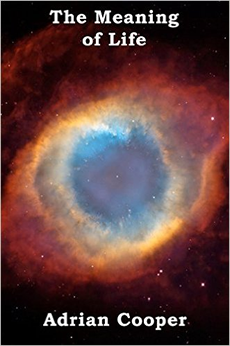 Chapter 9: The Mystery of Reincarnation: Reincarnation, the perceived process by which a person is "reborn" in to "another life" on Earth as another person is largely completely misunderstood as a sequential process. In this chapter you will discover the truth about "reincarnation" and alternative lives and of the purpose it serves in the context of individual Spiritual evolution, and how it relates to the Higher Self. Chapter 10: Life after "Death": Having discussed the truth of the change known as "death" in a previous chapter, in this chapter we take a closer look at the continuity of life and precisely what happens after departing Earth. Here you will discover the nature of the "afterlife", what to expect and why. This is an invaluable chapter for anyone fearing death or who has lost loved ones and wishes to know how their life continued after leaving Earth. Chapter 11: Fundamental Universal Principles: Many scientists believe that the universe is chaotic and without order and that everything, including the formation of galaxies, suns and planets, occurs entirely by chance. In this chapter we will discuss how this is very far from the truth, and that in addition to the Source behind and within all things, the universe is regulated by immutable universal principles. Chapter 12: Cause and Effect: Of all universal principles, the principle of Cause and Effect is the most well known but what exactly is "cause and effect", how does it function and how does it affect everyone without exception? In this chapter you will discover how the immutable universal principle of Cause and Effect is always present and perpetually acting on every action and thought, influencing experiential reality accordingly. Chapter 13: The Concept of Karma: While many have heard about "karma", few actually understand what karma really is. In this chapter you will discover the truth about karma, how it works and influences your own life experience. Chapter 14: The Ego: It is absolutely crucial that everyone understands what the ego really is and its importance and relevance to both individuals and humanity alike. In this chapter you will discover not only how ego manifests and influences people generally, but also the central role of the presence of the ego in the context of Spiritual evolution. You will also discover how transcending the influence of the ego is key to freedom, happiness, harmony and life progression. Chapter 15: Spheres of the Mind: While everyone broadly recognises the "mind" in general terms, few understand its true nature. In this chapter you will discover the true nature of mind in all of its aspects from the personal mind to universal mind, and of the significance of mind in the greater universe. Chapter 16: The Eternal Now: Humanity generally is absorbed by the concept of time, past and future, using time and all instruments designed to measure time as a basis for everyday life. In this chapter we discuss the illusory nature of what is thought of as "time" and how time really has no basis in fact. Chapter 17: The Flow of Life: In this chapter we review the nature and routine of daily life on Earth as it relates to most people, and the ongoing implications of such a lifestyle. We also look discuss the profound benefits of living harmoniously with the natural flow of life. Chapter 18: The Path of the Ancients: For the last 2000 years or so humanity has lost its way, dominated by priorities based around orthodox patriarchal religions, money, materialism and other projections of the ego. In this chapter we will see how this has not always been the case and that before this era of humanity the ancients knew their true purpose in life, what that purpose was, how they lived their loves accordingly and the legacy they left. Chapter 19: The True Nature of God: Many of organised belief systems of the western world are based upon orthodox organised religions which rely heavily on the doctrines, words, rules and "commandments" of their respective “holy books” under the control of their churches and ministers, representing themselves as "intermediaries" of their idea of God. In this chapter we discuss the true nature of God and the true relationship of everyone and all life to God. Chapter 20: The Dream: This chapter is dedicated to a most profound and beautiful writing by The Baron Eugene Fersen who also wrote The Science of Being books, entitled "The Dream", featuring the allegory of "Lucifer", the "fallen Angel". After the conclusion we discuss the true meaning of the allegory of Lucifer, what it means and how it relates to the ego and everyone on Earth in the context of Spiritual evolution. Chapter 21:The Meaning of Life: In this concluding chapter we review the significance of the previous chapters in finally revealing the true, glorious and Divine purpose of living physical lives on Earth, and what it truly means to be both human and Divine. You will also discover the true life purpose of every human being as an expression of Source, God, Divine Love and how to live life accordingly to realise peace, harmony, freedom and to fulfil life's purpose.